The mystical Transylvanian city of Sighisoara is becoming one of the top destinations in Europe to visit. 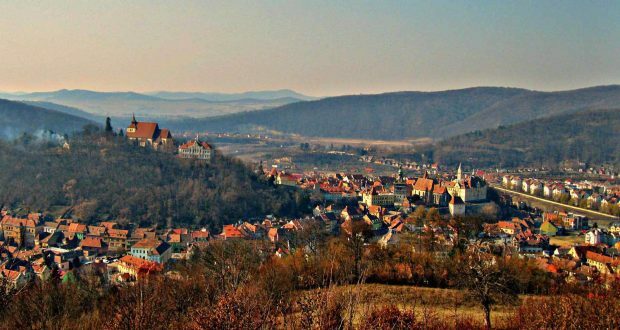 The city dates back to the early 12th century, when the invading Magyars occupied Transylvania. Wanting to consolidate his power and defend the territory from the Ottoman Turks, Hungarian King Géza II asked German settlers from Saxony to come and settle in the city. Today, the result is a fairy-tale city full of colourful buildings and teeming with history. The city is the only medieval citadel in the world still inhabited, and in 1999 it was designated a UNESCO World Heritage Site for its 850-year-old preservation of Transylvanian history. Sighisoara, however, is most famous for being the birthplace of an infamous character in Romanian history, Vlad Tepes, the inspiration for Dracula. It was partly due to this historical significance that it was recently featured in the Evening Standard as one of the top 10 destinations to visit in October. During the autumn period the city transforms for Halloween, immersing visitors in the medieval world that inspired Bram Stoker’s iconic Dracula character. The legend of Dracula was spread early on by German settlers, with stories told through wooden carvings depicting Vlad III’s barbaric impaling of Ottoman Turks. Some depicted him drinking the blood of his enemies, which gave birth to the legend of the vampire. It inspired Bram Stoker’s famous Gothic novel in the 19th century, and since then legends of blood sucking creatures have flourished in literature, TV, film and video games. 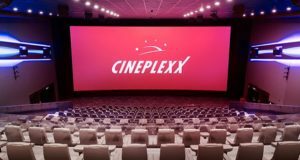 Every type of entertainment medium imaginable has a version of the vampire tale. FoxyBingo has many games based on famous literary characters including their own Dracula inspired title Blood Suckers II. Like many modern adaptions of the legend, it features its own unique take on the popular story. 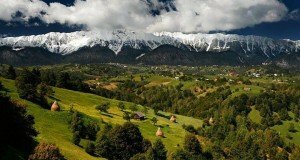 It is for this reason that visitors flock to Romania to visit the original inspiration. Visitors can do just that and visit the house, which is now a quaint restaurant, in which Vlad III was born. It allegedly still houses his room, which he lived in until his was 4 years old. The town’s other attractions includes fortifications that have stood for over half a millennia. Imperial Transilvania also claims that nine of the original fourteen defensive towers, each built by a different craft guild, still stand and are immaculately preserved. The most famous is the Clock Tower, standing at 64 meters. The city is also amazingly colourful, making Sighisoara one of the most picturesque destinations in Europe. The charm of Sighisoara lies in its mystical beauty, rich medieval history, and the fact that it is a part of Europe still largely untouched by mass tourism. Yet, this is starting to change. 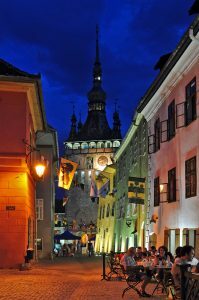 Sighisoara has been promoted in international publications, inviting visitors to experience the birthplace of Vlad Tepes, sample its rich cuisine, and admire its buildings. While its marketed as the real-life inspiration of Bram Stoker’s Dracula, Sighisoara is much more than that. It is teeming with a rich history and hosts a variety of festivals and events all year-round.